The ULTIMATE Financial Success Program for Entrepreneurs and Small Business Owners! At the Ultimate Business Success Summit, you’ll work directly with our team of successful entrepreneurs and business professionals to create your Ultimate Business Financial Success strategy. You’ll identify your target business niche and model, develop an effective sales plan to manage (and grow!) your customer base, influence the five primary indicators that grow profit, and determine the optimal time to expand your business (and avoid stalling!). You’ll learn how to develop the mindset of a successful entrepreneur, organize your cash flow, improve your leadership skills, and use the rules of money to your advantage. In addition, you’ll understand how to recognize outstanding investment opportunities and prosper during hardships and challenging economic conditions. You’ll directly benefit from the experience of entrepreneurs who have already achieved success, which will allow you to achieve your goals even faster than you could have imagined. This is the event that every entrepreneur and business owner needs to attend–if they are serious about growing and expanding their business. 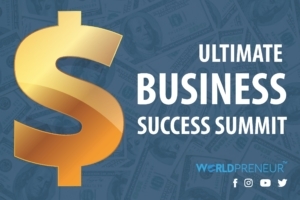 “I highly recommend the Ultimate Business Success Summit with Dr. Alex Pomelnikov from Worldpreneur. The one day class really open up my eyes in understanding how to run a successful business. The interaction and group discussion was very interesting and it help when you learn and discuss together. If you want to take the business to another level, Ultimate Business Success is what you want to do.” – Andy W.
“The summit was awesome! I enjoyed every minute. The information definitely superseded the price of the event. I liked the way Alex explained the information and the strategies. I took amazing notes and I am excited to implement them into my business.” – Tanjeniqua P.